In the past few years, genetic sequencing has become vastly more powerful and cheap, making met genomic analyses possible which means we can take all of the DNA in an environmental sample-human, plant, bacteria, cockroach, whatever-and sequencing the hell out of it. A DNA sequencing project on the New York City subway was just conducted and its results have just been published. On a quiet morning in New York this past spring, commuters waiting for the No. 6 train at the 68th Street subway station paid little attention to three student interns from Cornell intently stroking the platform benches and railings with small nylon-tipped swabs. A panhandler played the accordion. “As the train goes through, it kicks up the air and it coats the entire subway, like snow, with DNA,” said Dr. Mason, who was diligently gathering genetic material from a stairway handrail nearby. The team boarded the Lexington Avenue local train. They spread out through the car and started swabbing overhead handholds and passenger seats. Each sample took about three minutes to collect. They sealed each one in a plastic bag, then photographed and logged the location. 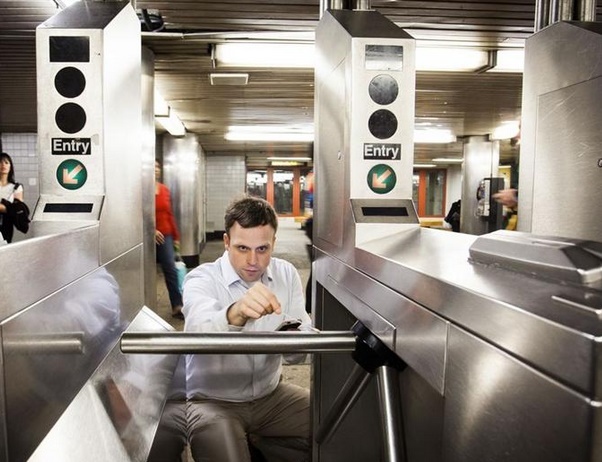 The PathoMap project, which involved sampling turnstiles, benches, and keypads at 466 stations, found 15,152 life-forms in total, half of which were bacterial. And yup, there are a lot of bacteria on the subway-though we know most of it is harmless. What’s really important, though, is what we don’t know about it. The big-data project, the first genetic profile of a metropolitan transit system, is in many ways “a mirror of the people themselves who ride the subway,” said Dr. Mason, a geneticist at the Weill Cornell Medical College. By documenting the miniature wildlife, microbiologists hope to discover new ways to track disease outbreaks—including contagious diseases like Ebola or measles—detect bioterrorism attacks and combat the growing antibiotic resistance among microbes, which causes about 1.7 million hospital infections every year. The subway DNA was also a measure of urban appetites. The scientists detected DNA from bacteria associated with the production of mozzarella cheese at 151 stations. DNA from chickpeas, a key ingredient in hummus and falafel, was detected on many subway platforms and benches. The researchers also found bacteria that readily dine on arsenic, sup on oil spills and digest sulfates commonly found in the subways. Some species in the subterranean system are unusually resistant to extremes of acidity, aridity, temperature and radiation. “They are like New Yorkers, can survive anywhere! !” Dr. Mason said.